Welcome to MechanicScout, your source for information on all manner of garage tools and equipment. Whether you need to tune an engine or swap one out – we have you covered. 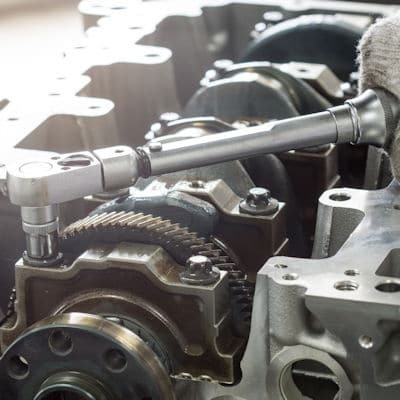 MechanicScout offers general information on how different types of automotive hand tools, power tools, diagnostic equipment, and specialty machines operate, so that you understand the uses for these amazing tools. And we provide detailed tool reviews and comparisons, so that when you are looking to buy your next tool you can make an informed decision. Working on cars is a hands-on activity, and as such it requires a variety of hand tools. Everything from wrenches to rasps, and from tin snips to screw drivers are needed to properly work on your car. But not all tools are created equal. Sure, you can buy a cheap set of sockets to get started. But don’t be surprised when low-quality tools made from inferior materials fail. And you can be sure that the failure will happen at the worst possible time. That is why we review some of the best hand tools out there – to help you fill your toolbox with quality equipment that will last. We look at hand tools like wrenches, ratchets, nut splitters, wire strippers, pliers, punches, picks, pullers, and oil drain pans with pumps. And we tell you the good – and bad – on what we find. The same holds true for larger specialty hand tools – like strut coil spring compressors, Hydraulic Shop Presses, and tubing benders. While still technically hand tools (since your arm provides the power), they still are integral parts of any functional garage. Some air tools – like a tire bead seater – are also technically hand tools, as they don’t have a power component. Finally, you will need a great tool chest to store all of your tools. While most any job you will have to do on your car or truck can be done by hand, there are a number of power tools out there that can take away much of the drudgery and brute force required to fix or upgrade your vehicle. Sure, you can file and buff out your bodywork with a hand tool and some elbow grease. But anyone who has spent even a little time doing that will quickly take an electric grinder or plasma cutter if it is offered. And many nuts and bolts can be turned with open end and box wrenches, but a good impact driver (like these impact wrenches for changing tires) can be worth its weight in gold once you’ve smashed your knuckles on a broken bolt. It is instances like that when a good power tool can save both time and skin. To help you fill out your power tool collection, we review items like grinder and buffers, lithium ion jump starters ,drills, air compressors, refrigerant recovery machines, and rotary tools. And our reviews aren’t just for pros – we also look at entry-level tools, like our reviews of the best MIG welders for beginners and the best orbital polishers for beginners. We compare and contrast similar items, and help you find the best bang for your workshop dollar. We look at larger tools as well – like our review of the best tire changer/wheel balancer combo packages or the best commercial battery chargers. Working on cars used to be simpler. When I started working on my first vehicle almost all of the wiring had melted together. To fix it all I needed was a wiring diagram and a multimeter. Today’s automobiles are much more sophisticated. In addition to the on-board navigation systems and digital displays, you have a variety of computers and control processors monitoring the airbags, anti-lock brakes, and controlling almost every aspect of how your vehicle runs. To properly troubleshoot those systems you need some quality diagnostic tools. 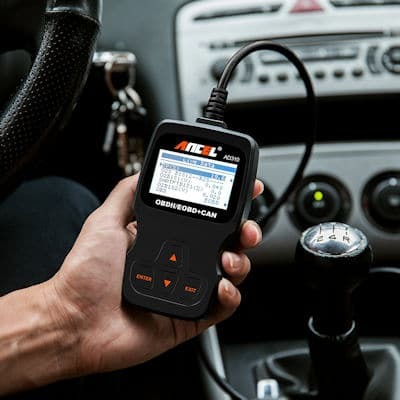 There are scanners that directly interface with most modern vehicles to communicate with your car’s systems and help you identify problems (like these professional car diagnostic tools). And there are also phone-based software programs that can communicate with scanning hardware (or in some cases directly with your vehicle) to give you a hand. We look at a variety of cutting-edge technologies (like battery reconditioning) to help you get a handle on modern auto mechanics. Cars and trucks are not light, and neither are many of their components. 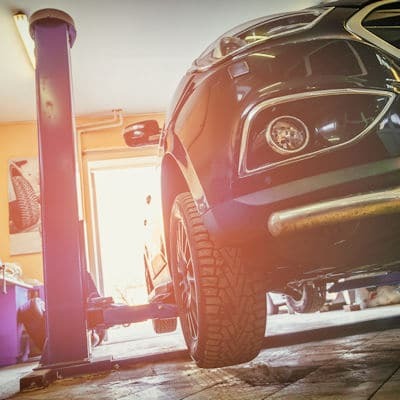 It doesn’t matter whether you need a car lift to raise your whole vehicle to access the underside, or an engine hoist to pull the motor so you can work on or around it, or even an air suspension kit to increase your vehicle’s load capacity. Whatever you needs there are a variety of lifting tools like transmission jacks, lifts, winches, and car ramps that can give you the mechanical advantage you need to position parts or all of your car. And here at MechanicScout we do our best to review the latest lifting tools, to help you find just the right one for your application.